Last weekend was one of those times when I simply had to get out of Mumbai and, luckily for me, the weekend happened to be the Cheti Chand (Sindhi New Year) holiday, which gave me the Friday off work. 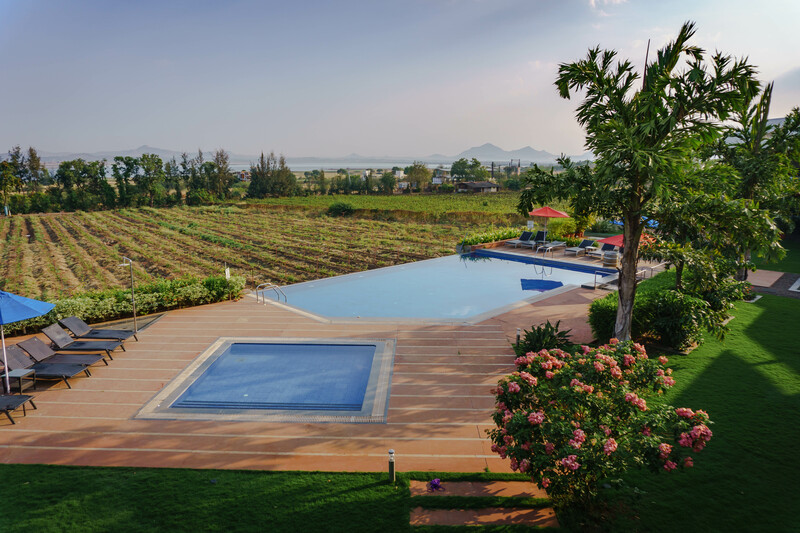 So, with 3 days at my disposal I headed to the Sula vineyard in Nashik – India’s wine region – for a weekend of absolute and uninterrupted relaxation. Despite being only 180 kilometres from Mumbai, the journey to Sula took around 4 hours, but it was a relatively straightforward drive and we arrived around noon. 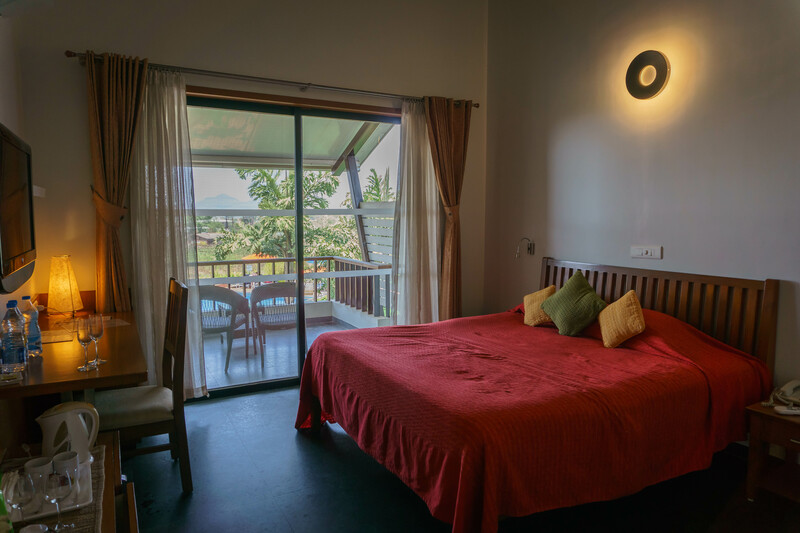 We had booked a room at the ‘Beyond Sula’ resort, which is located a short rickshaw drive from the vineyard – a fact that we hadn’t realised when we booked. 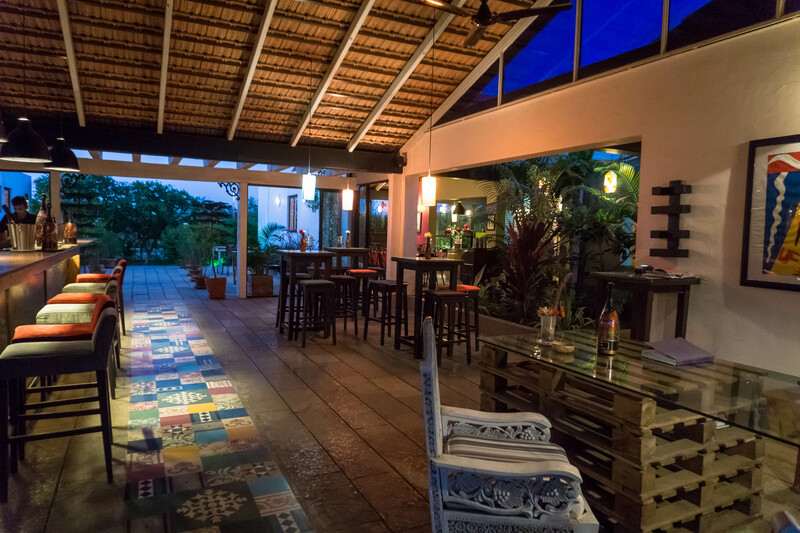 However, the benefit of being further away from the vineyard is that the resort was remote and tucked away from the hoards of day visitors that visit Sula. 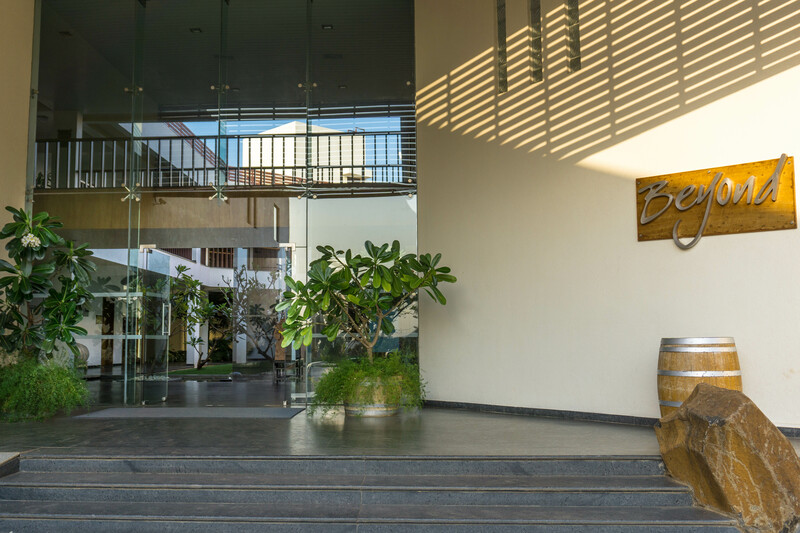 Beyond Sula is a lovely resort with spacious rooms, large balconies, and an infinity pool overlooking the vineyards. We were offered complimentary glasses of Sula Brut upon arrival and were taken to our room. You can see more of the resort in the video at the bottom of the post. As it was a hot day, I couldn’t wait to get into the pool. Preparing for the swimming pool as a foreign woman in India can be a tricky thing as few Indian women swim. If they do, they will almost certainly be wearing a one-piece bathing suit, or possibly they will be fully clothed. It is very likely that in a place with a pool you will be the only woman swimming. It is almost certain that you will be the only woman sunbathing, probably even the only person sunbathing. For these reasons, I take a one-piece bathing costume unless I am going somewhere that is known for having foreign women around, such as Goa. 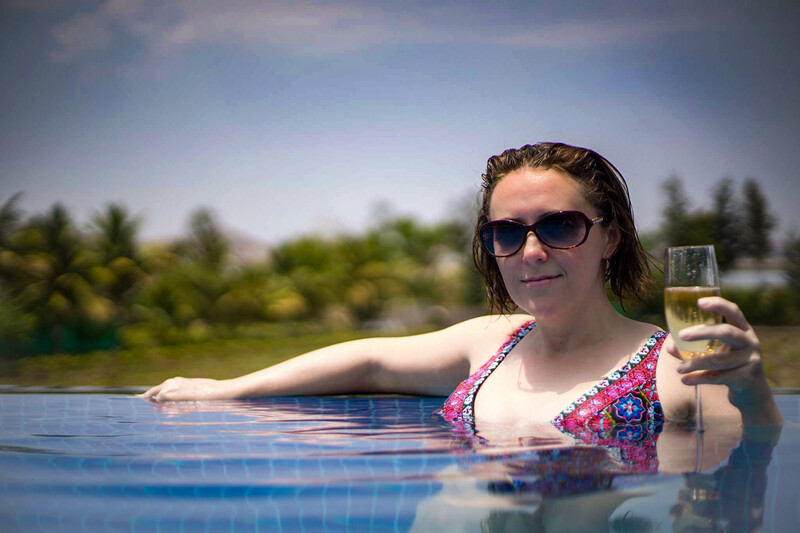 At Beyond Sula, I swam and lay by the pool and, despite often being the only woman to do so, I did not encounter any staring or undue attention. Our first day was super relaxing: pool, wine, dinner in the restaurant followed by sitting on the balcony drinking wine and listening to the night chorus of the cicadas. It is the perfect getaway for the Mumbai crowd. The following day ran in a very similar vein: pool, lunch, and drinking copious amounts of wine, until, as dusk began to fall we went across to the vineyard for our tour. Sula’s fame lies in the fact that its founder, Rajeev Samant, was the first to bring the Sauvignon Blanc and Chenin Blanc varieties to India, a country not known for wine making. Sula is the leading brand of wine in India today. 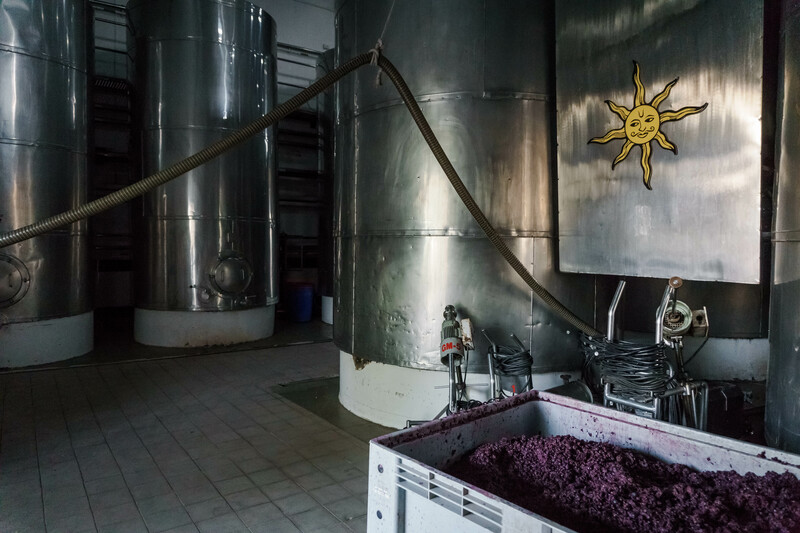 The 40 minute tour took us through the factory (not the vineyard, sadly), whilst a guide spoke to us about various aspects of the wine making process. As India generally has not mastered the art of kinaesthetic tours yet there was nothing interactive during this section, but we did see various machines and red-stained barrels in the storage room. Harvesting season ended around a month ago (March), I don’t know if the tour is more interactive during this period. Finally we reached the ‘tasting room’, which was definitely the best part of the day – you go to a vineyard to drink wine, right?!! We lined up at a long table and receieved our glasses. We would be sampling a new release Sula Brut Tropicale, two whites, two reds, and a dessert wine. I’m not going to pretend to know anything about wine because I really don’t, but I’ll say that I enjoyed the Sula Brut and the two white wines. I don’t drink red wine, so I was unsurprised that I didn’t enjoy the reds much. The dessert wine was nice, but too sweet for me. I would definitely recommend the Tropicale Sula Brut – this is what I spent the rest of the weekend drinking. After the tour, we visited Soleil, the vineyard’s French restaurant. The menu seemed to be more Italian inspired than French (not surprising in a region where beef and pork are not readily available), so I had spinach and ricotta ravioli with garlic bread. We returned back to the resort happy and most likely a little tipsy. 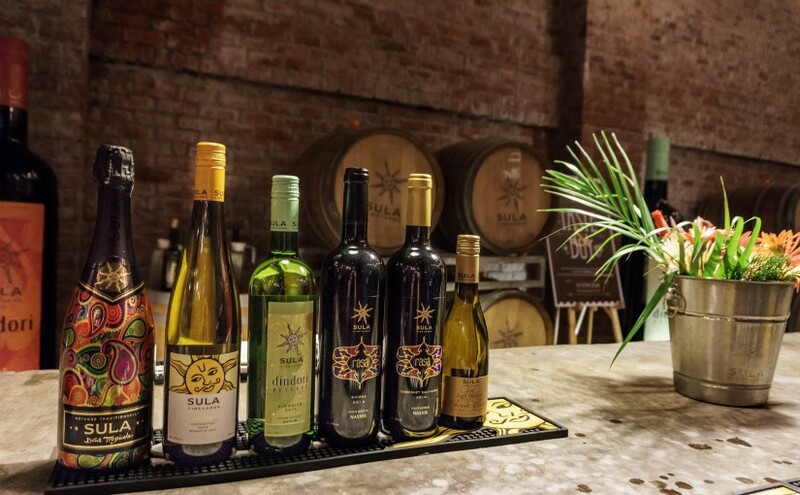 Would I recommend a visit to the Sula Vineyard? Indian wine is still relatively unknown outside India – few people know that India even has a wine region. Obviously, Nashik is not Napa Valley, Tuscany, Champagne, or any other romanticised wine region, but it is interesting to see vineyards flourishing in India, and visiting them (if you are already in India) is likely to be cheaper than a trip to California, Australia or South Africa. It is possible to visit Sula Vineyard in a day from Mumbai, if you don’t mind a lengthy drive in each direction, but you will enjoy the experience much more if you stay for a weekend. There are other resorts that are nearer to the vineyard, and there are other vineyards in the region. I wish I was in India long enough to try some of the others. You can see my snapchat story of the weekend here. 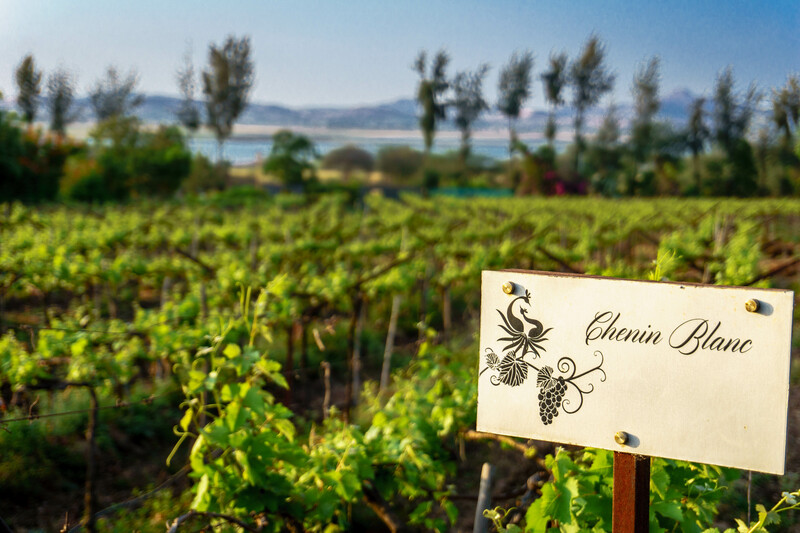 Did you know that India had a wine region? I think this is fascinating! I had no idea that anyplace in India made wine, and now I’m really curious to try some of it! Also, the hotel sounds like it was the ideal place to get away from crowds and just relax. Thanks for sharing! Thank you for reading 🙂 I didn’t really know that India produced wine either, not only that but Sula is really good too!! Ah I am not a big wine fan and that’s why perhaps I didn’t even know about this place..even though I am from India. Nashik is lovely though and Sula is not a preferred wine but definitely an acquired taste. What do you think? I actually don’t drink wine often either, but I really loved the Tropical Sula Brut. Red wine is definitely an acquired taste for me! Am I right in thinking that drinking wine seems to be a relatively new concept in India? Many of my Indian friends don’t drink alcohol at all. Having said that, the vineyard was absolutely packed! I had no idea that India had a wine region, but the photos look gorgeous! I also love white wine. India is the number one country on my bucket list, so I’ll definitely keep this in mind when I plan my trip. Thank you, I am really pleased with how the photos turned out. You must get to India, it is such a fascinating country – and when it all gets too hot and chaotic you know just the place to chill out! I am really embarrassed to admit that I didn’t know that India had a wine region and I have visited India a number of times. I will have to add this to my list!! Will pin for future reference. This place looks and sounds so lovely! I never knew India had a wine region! I can’t vouch for the other wines made in the region, but I really liked Sula. The wine industry here is fairly new, I think. It was very relaxing and a great place to escape the chaos of India. I adore wine, and this looks like a great wine tasting & relaxing trip. Thanks for sharing! Honestly surprised me, not what I what expecting for India’s wine region. Relaxing places can be very hard to find in India, but this one managed it! Thanks for the comment. What a beautiful hotel! I’m with the others, I had no idea India had a wine region. Just watched the video – 10 bottles of wine, must’ve been very good. I wonder if they sell any Indian wine here in the US. It really is a lovely hotel. Let me know if the US sells any Indian wine, I’d be interested to know if they sell there. Once you’ve finished the yoga course, you should go to the wine region 😀 Where are you planning to do the yoga course? wow this is news to me! I have never been to India so I didn’t know there was a wine region! I love the varietals they have there. You really wouldn’t associate India with wine, would you?! Apparently, the conditions are perfect for it – that’s why the founder imported varietals (I didn’t know that was the word to use!) from California. I tried some Indian wine about 10 years ago right when the wine industry was really in its infancy, have to say it was not the best! Looks like things have really come along now though and people in India are getting more of a taste for wine – will have to give in another try. Oh, yeah! There are some TERRIBLE Indian wines out there too! Having just returned from a wonderful trip to India and tried the Sula Sauvignon Blanc , I was truly impressed . Great to know where it us made and that it is possible to stay nearby for a wine tasting experience. My plans to return to India are not fully made yet but your information will be kept in mind for when I do. Please do not pass my email details on to anyone else.